Browse the complete collection of Fancy Nancy coloring sheets, craft pages, reading activities, and other fancy fun printables. Sound like a professional sleuth in no time by matching the correct word with its description! Fancy things aren’t always what they seem! 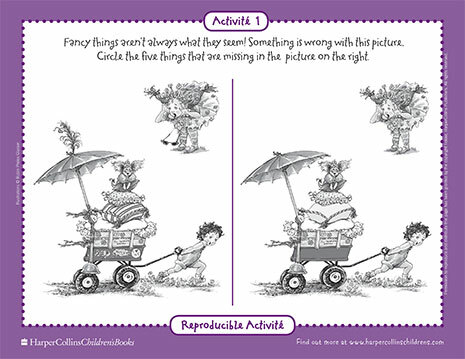 Try to spot all the differences in this printable Fancy Nancy game. Test your knowledge of the fifty states just like Nancy and her classmates with this printable crossword puzzle game. Answers are included, but no peeking, please! 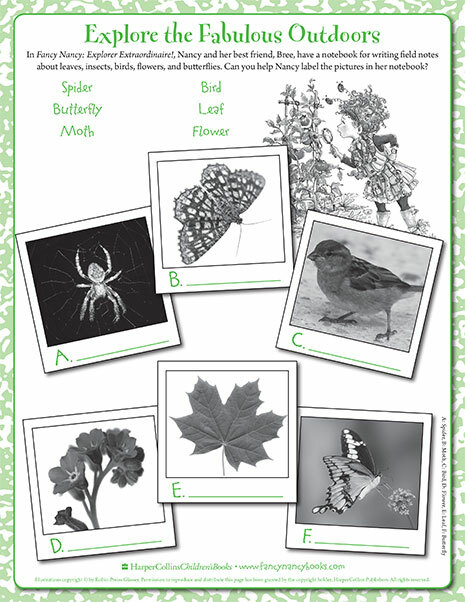 Help Fancy Nancy identify each image in her outdoor explorer notebook! 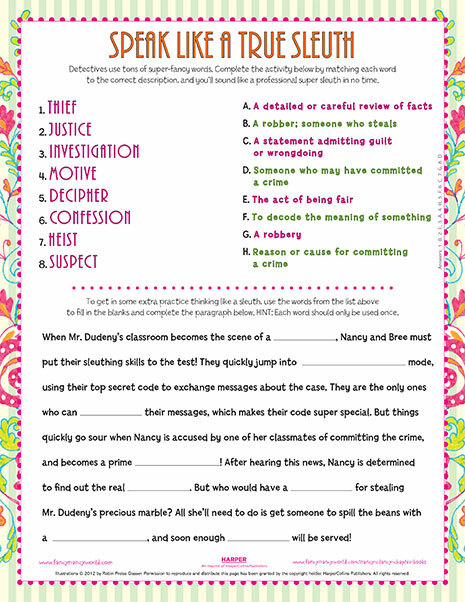 Find the perfect name for your fabulous fashion boutique with this printable Fancy Nancy word game! 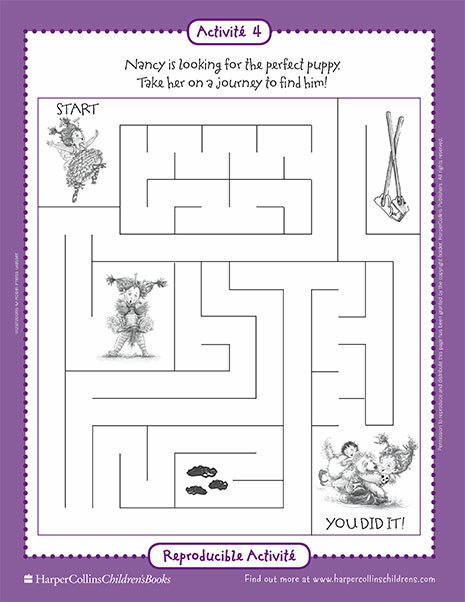 Help Nancy find her way to the perfect posh puppy with this printable maze! 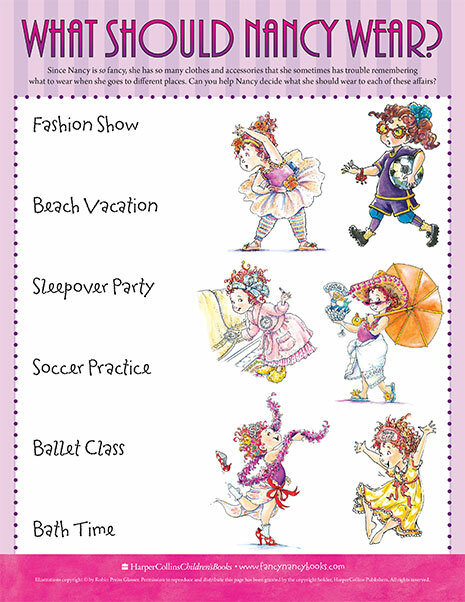 Help match each fancy outfit with the right event with this printable Fancy Nancy game. 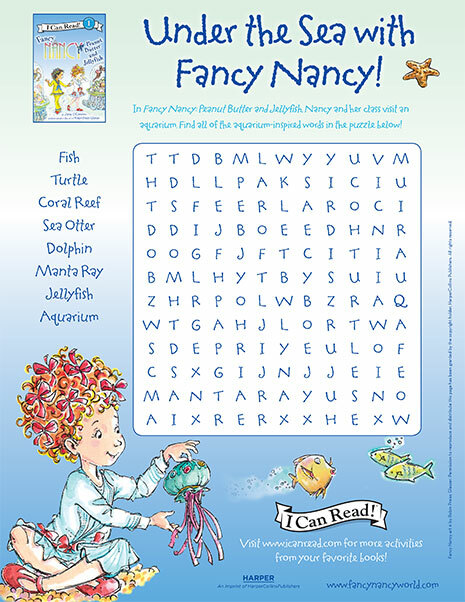 Complete this printable word search puzzle, inspired by Fancy Nancy’s class trip to an aquarium. See if you can find all eight words for things that live under the sea. 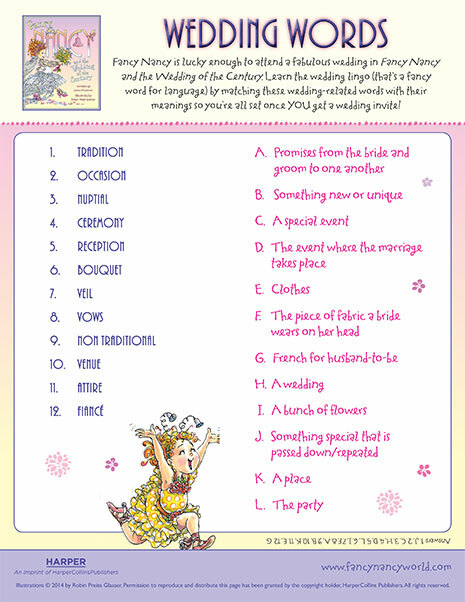 Learn the wedding lingo to prepare for the wedding of the century with this printable vocabulary game! 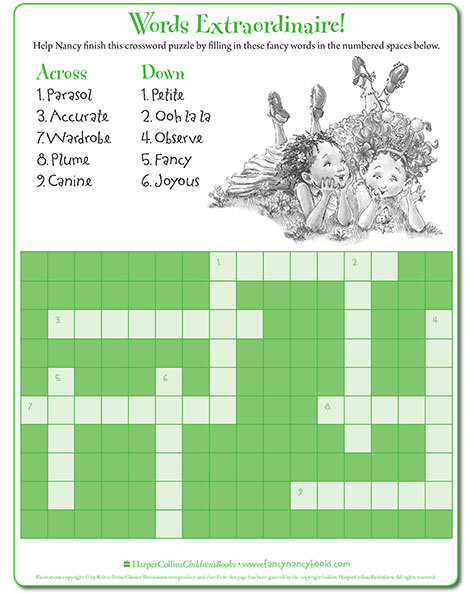 Use Nancy’s fancy word list to complete this printable crossword puzzle!